ProductCamp is a free, user-driven, collaborative "unconference" for Product Managers and anyone involved in building products. The concept was founded in Silicon Valley in 2008 by Rich Moronov. ProductCamp has since been brought to major cities across the world by local product communities. Being a Product Manager is hard and it's not typically easy to get the coaching or training needed for the job. The “unconference” format will give you the opportunity to learn, share and network with peers in a way that is completely unique and collaborative. It's the ultimate "safe space" to try out something new, discuss ideas and grow and develop as a Product Manager. ProductCamp Bristol & Bath is brought to you by the team who organise ProductTank Bristol. We are passionate about providing growth and development support for product management teams, so that we can all build better products faster. Lunch will be provided with a vegetarian options, please let us know about any other dietary requirements and we'll do our best to accommodate them. 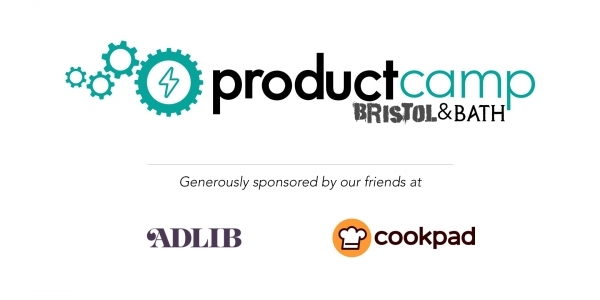 ProductCamp Bristol & Bath is generously sponsored by our friends at ADLIB recruitment and Cookpad HQ. 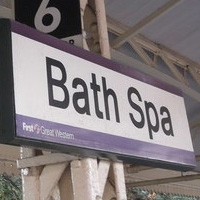 Bath can be a busy city on a Saturday so it's advisable to use public transport where possible. Apex Hotel is a 12 minute walk from Bath Spa train and bus stations. For more information, please check the hotel website. If you have any questions at all, please drop us an email or get in touch via twitter. Wondering why we call it "ProductCamp Bristol & Bath"? We hope to continue running this event yearly and will swap between Bristol and Bath each year. Plus it's very much an event for people in both of these cities and all of the surrounding area.